Nothing beats the feeling you get when you drive up to your home and see how great the lawn and landscaping looks. Visitors to your place of business will also take notice when your grounds look lush and beautiful. 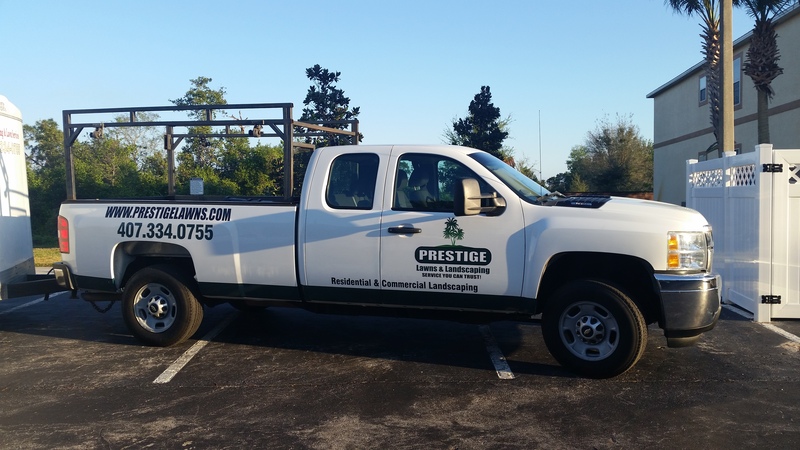 For 10 years, Prestige Lawns & Landscaping has provided commercial and residential clients with premier landscaping and lawn maintenance in Kissimmee, FL. Your search for landscape contractors that will make your lawn and landscaping beautiful ends with us. Clients in Kissimmee, Florida, and surrounding areas, including Lake Nona and Narcoossee, depend on us to dress up the exterior of their homes and businesses. At locally owned and operated Prestige Lawns & Landscaping, we strive for greatness no matter the size of the job. We offer a personalized approach to all your landscaping services by taking the time with each customer to find out exactly what results you want to see. Our owner has over 3 decades of yard maintenance and landscaping experience, starting from when he was a child. He uses that experience to provide customers with an overall rewarding experience from our company. To make sure you're completely satisfied, we provide reliable service and competitive pricing.